Winmate's Rack Server is an effective and compact chassis built for industrial applications. This product is available as an 1U industrial grade rack mount chassis. Winmate provides various platforms for your applications. Options include the power-effective platform, with GM45 chipset or 945 GME chipset equipped with Core 2 Quad/Core 2 Duo CPU. 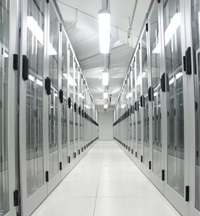 We also offer ATOM N270 Series Platform designed with a highly integrated Single Board Computer. Our Rack Server meets the requirements of a wide range of performance intensive, low powered embedded applications.